Find the antenna jack on your TV ? – Thats how to ! 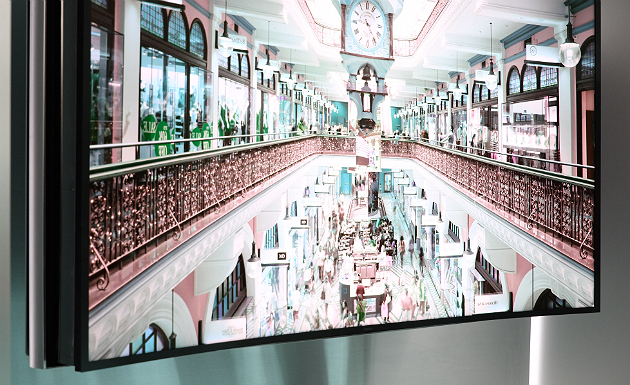 Is your TV-screen dead ? Or is “white noise” the only thing you can see ? - Then you probably haven’t found the antenna input ! Now we have reviewed a lot of TV sets and to our great surprise, the biggest challenge is often to find the antenna jack on the TV. The antenna jack is used to connect the TV set to the channel selection of your house. Today’s TVs have become very technologically advanced and consist of a jungle of various sockets, including scart connectors, component connectors, card slots, HDMI-sockets, network sockets, Firewire sockets, and so on. This is a bit strange, because the most basic thing to be able to watch TV is to use the aerial socket. But this basic jack is drowning in all other sockets that a modern TV must be equipped with. - This is to be compared with today’s mobile phones, which have become so advanced that it’s difficult to understand how to make a call ! Our reviews have shown that a lot of people try to connect the antenna cable to one of the component inputs, with the result that the TV-screen will be noisy or black. 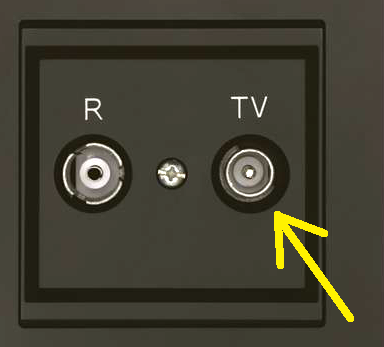 Look carefully everywhere on the back side of your TV, and try to find the aerial socket. The aerial socket can be placed anywhere on the back of the TV and does not have to be found among all other sockets. 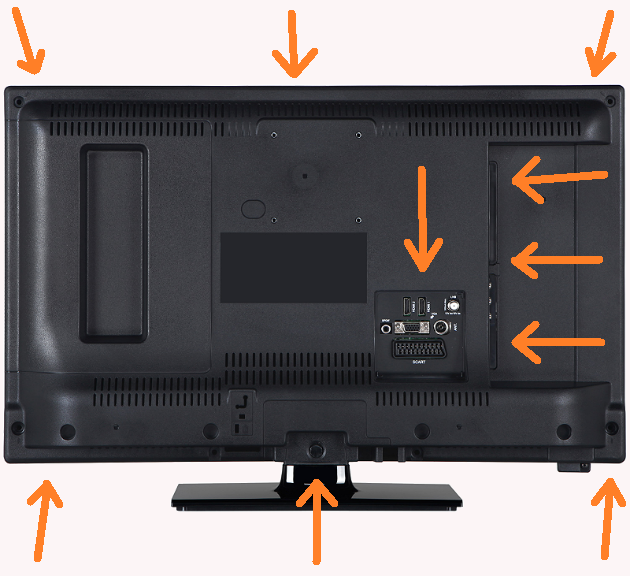 The orange arrows show about where the antenna socket should be. 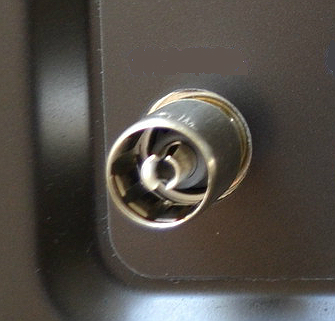 Now plug the cord (the plug with the consummate pin in the middle) in the TV’s aerial socket. Now, take the other end of the cord (female) and put it into the wall socket where it says “TV”. 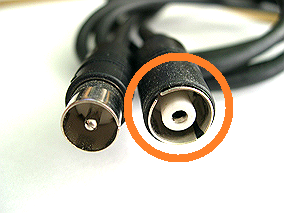 The TV-screen will be completely black or noisy, and you will find that the input is too small for the antenna cable. 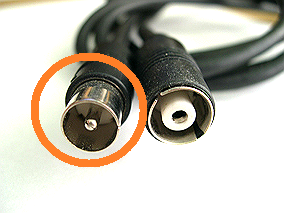 You probably have connected the antenna cable to a component input ! 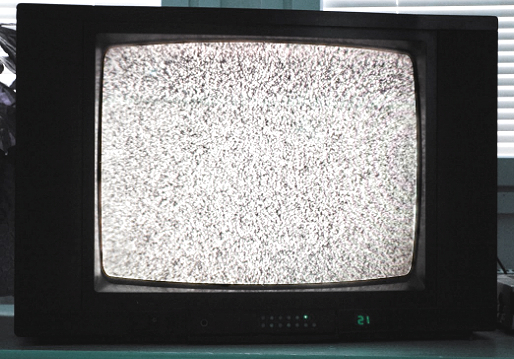 Picture of the white noise caused by radio waves from space and the sun, and thermal noise from the TV-receiver’s preamp. The review of aerial sockets on TV’s was made in January-February 2019. Pröva guld i glöd, och vän i nöd.